Congratulations! You’ve made the decision to order plastic cards for your business, but at this stage you may not know what the next steps are, or the potential options you have to increase the opportunity that this style of marketing offers. At PR Australia we like to make things as easy as possible for our customers, so we’ve put together a simple step-by-step guide to take you through all your possibilities before you place your order. 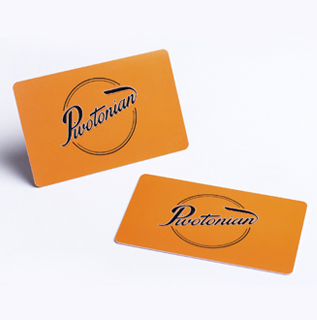 Our plastic cards can be purchased in a wide range of quantities, with the price scaling lower with the more you print. Now is the time to consider “future-proofing” your order and ensuring that you’re getting maximum value. For example, let’s say you’re doing plastic membership cards and you have 850 members, so you’re thinking of printing 850 cards. How many members are you hoping to recruit in the next 12 months? Is it better to print an extra, say, 150 now, because it’s cheaper than ordering an extra 150 later? The same logic applies for any type of campaign: consider how many extras you may need to ensure that you’re not left short. Our reputation is based on our ability to deliver an amazing product as fast as possible. Saying that, it’s always a good idea to budget for a few weeks for us to deliver your cards. We will likely be much faster, but we always give the maximum timeline because we hate disappointing our customers if an unexpected delay impacts the schedule. However, we understand that business doesn’t always leave time and perhaps you need a fast print job. Maybe business is booming and you need extra plastic gift cards urgently, or there is a trade exhibition you were not originally attending but you’ve decided to take advantage of a great last minute offer and you need urgent plastic business cards. We get it! In that case, we’ll need to price an urgent job for you, so please allow some extra room in your budget to cover express delivery etc. Now we get to the fun stuff. You know how many cards you need and when you need them by. Now it’s time to think about what your plastic cards will look like and what they will do. For example, do you want a coloured card or a clear plastic card? Do you want a flat card or do you want embossing? Is there a particular finish you want on the card for the “wow factor” when people hold it? And what about barcoding, stamping, or a signature panel? For more information, click here to read our blog post about options. Step Four: Who’s doing your artwork? Ask us to do your design free of charge. If you’re an experienced designer or have an internal graphic design team in your business, great. The answer for this should be easy. Just keep in mind that we require files a minimum of 300dpi and in CMYK format (we know it goes without saying, but you wouldn’t believe how often we receive artwork in RGB format). 1) A design brief. It doesn’t have to be anything fancy, even drawn on a bit of paper showing us the layout you’d like. Let us know the colours and fonts you’d like used. If there’s something you’ve seen that you like, let us know and we’ll use that as a template. If you have no idea at all, no problem, we’ve come up with new campaigns for many customers. Let us know and we’ll design something from scratch for you. 3) All the text needed on the card. Contact details, any additional information such as extra websites or emails, or information on what this card is for. Any format is fine for this. Once we have the above, we’ll get started immediately. You now know how many cards you need, when you need them by, who’s doing the design and you have a concept of what they’ll look like. It’s time place your order and get the show on the road! Step Six: Proof, proof, proof! We cannot stress this step enough. Once the order is placed and artwork/brief received, you’ll receive a proof shortly after. It is of absolute importance that you look over the proof with fine detail. Look at every image and make sure that it’s correct, for example that you’re using the current business/brand logo and not an old one. Read every word and make sure it’s right. Check that every email address, phone number and website is correct. Leave nothing to chance. If there are any mistakes then now is the time to find them and fix them, because once the cards are printed we can’t change anything. When you are happy with the design, send us your approval and we’ll commence printing your plastic cards. There’s one more step here, although not official, we’ll be cheeky and ask anyway: once they arrive, be sure to tell us how much you like your order! Of course this is what we aim for nonetheless, but we really get a kick out of our clients coming back to us to say how happy they were with the experience and how much they like their cards. If you can find the time to tell us how impressed you were, it would make our day! Thanks for taking the time to read this post, and don’t forget: if you have any questions or require any extra detail, please call us on 1800 801 901 or email info@pr.com.au and we’ll get back you as soon as possible.